Comments: This tropical tree is native to South Africa. 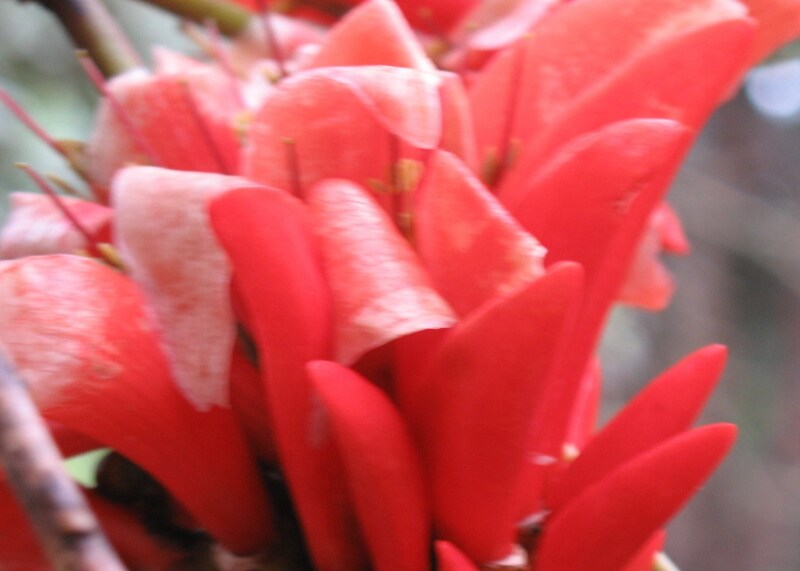 It produces brilliant red flowers before new foliage appears. The compound leaves consist of three leaflets, although the tree is leafless for four to five months of the year. There are pricles along the leaf stems and midribs of the leaves. This tree is sometimes referred to as the "Royal" Tree and were once planted at the graves of the Zulu chiefs.